Download now a fully functional version of Xbench 3.0 and try it free of charge for 30 days. Order one or more subscription years and define your authorized users with total flexibility. Discover the flexibility of ApSIC Xbench license system and learn why we choose a subscription model. 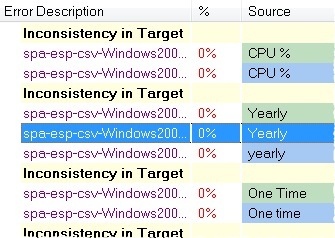 With Xbench you are just a hotkey away from your terminology. 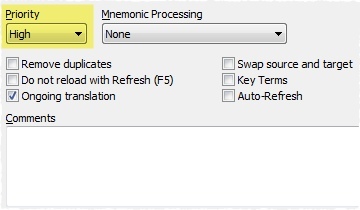 Just load your bilingual references on Xbench and press Ctrl+Alt+Insert from any Windows application when you want to find a term. 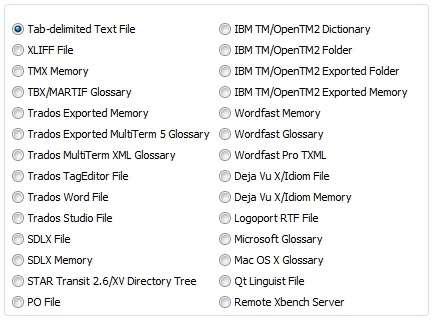 Add terminology sources in most common CAT formats including TMX, XLIFF, Trados, Wordfast, MemoQ, Deja Vu, IBM Translation Manager and many more. All these formats are presented in a common results window so that you can focus on terminology and not on the application it came from. Spell-check your translations in a breeze, no matter how many words or files you are to deliver today. Now available for 48 languages with Hunspell dictionaries. Xbench comes with some useful predefined quality checks for completeness, consistency, numbers, tags, key terms, and so on. But if you need more, you can also create your own personal checklists to make sure that your translations are perfect. 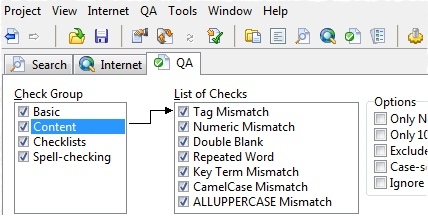 Xbench comes with a number of predefined checks to spot common errors, such as inconsistencies, missing or unmodified translations, spelling errors, mismatch in numbers or tags, deviations from key terminology and more. Tired of spell-checking hundreds of files with just a few words each? With Xbench you can load and spell-check all files at once and edit only those files that have spelling issues. Need more checks than the predefined ones? 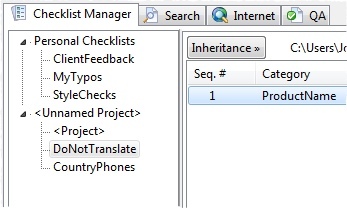 With checklists you can perform very sophisticated checks on your files. 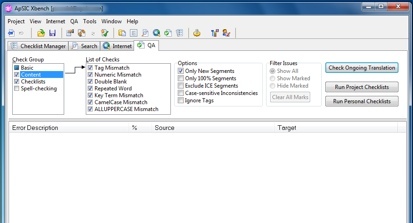 Checklists are built on the powerful search engine of Xbench, which allows you to find virtually anything thanks to its PowerSearch mode and the flexibility of regular expressions or Microsoft Word wildcards. 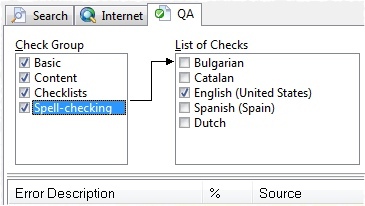 Checklists are an array of user-defined searches that can be executed on all your translations at a blazing speed. 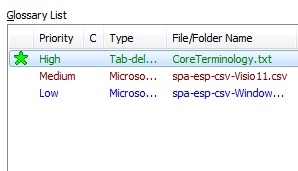 Need to edit what Xbench found? Just right-click and choose Edit Source to open the file right at the segment that contains the error. Segment-level positioning is available for most CAT formats including Trados TagEditor, IBM Translation Manager, SDLX, or MemSource. 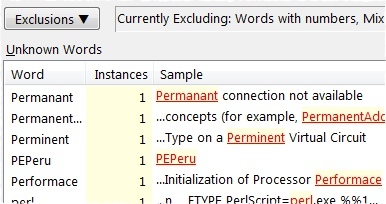 With Xbench, you can assign each terminology source to its own priority level so that it is presented to you in a clear way. Now you are able to make informed terminology decisions consistently, every time. Relevant search results are presented in a single view with color-coded priority, so that you can easily recognize what comes from where. At a glance, you will be able to quickly decide which term fits best your translation – and you will also be able to investigate and report where the sources for inconsistencies are. 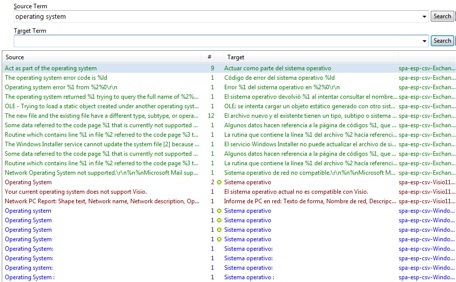 The default search results view presents an overview mode that shows a few results from each priority so that you can see at once if the term you are looking for was translated consistently – or not – across all terminology sources. Need more detail? No problem, just zoom in to priority or file level to see it all. Any of your glossaries is particularly important for your project? Just define any glossary as Key Terms and its entries will appear with a star in the search results.